Hunting Rifle Shooting is a sport specifically designed and developed for the hunter. The aim is that hunters will improve their shooting skills by competing in this exciting shooting sport. It all started in the central South African city of Bloemfontein in the early 1990`s. In South Africa it has grown into a very popular shooting sport amongst hunters, with regular regional competitions. In the last few years it has spread to countries including the Czech Republic, Namibia, Australia, Denmark and Sweden, while shooters from America also have attended some of the competitions in South Africa. Interest is growing in Europe and more European countries are poised to join the association. A team from Denmark visited South Africa in 2002 and a team from Czech Republic visited South Africa in 2010. A team from South Africa visited the Czech Republic in 2012 and also Australia in 2014. The 1st World Championships was held in August 2014 in Bloemfontein, South Africa, with 5 countries competing and 150 individual competitors entering. The individual section of the competition was held over 3 days and 90 shots were fired by every competitor to get the best results from a possible full score of 2700. 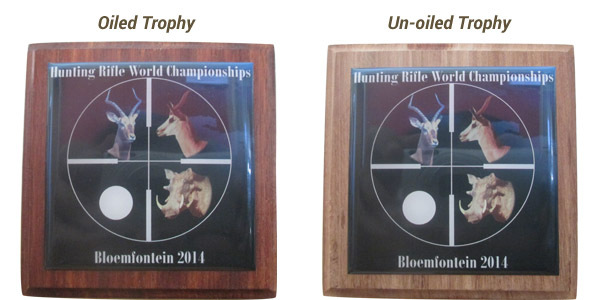 After a fierce battle, Carel Maritz from South Africa was crowned as the 1st Hunting Rifle World Champion. A team competition followed the individual competition, with 9 teams from the 5 countries competing; each team consisting of 6 shooters. When all the scores were added up, the South African A team posted the highest combined total. The second World Championships was held on 7-14 June 2016 in Namibia. The next World Championships is planned for 15-21 July 2018 in Bloemfontein, South Africa.